One of the biggest advantages of iCloud is the ability to store all your photos on iCloud and never have to worry about losing them. It is also quite easy to upload the photos and access them when you need to. In this way, you can delete the photos from your device to save some space without worrying about losing them. But what if you want to get old photos from iCloud to your computer or newest iPhone X/iPhone 8? That’s what this article is about. Read on to find out the easiest ways to do that. 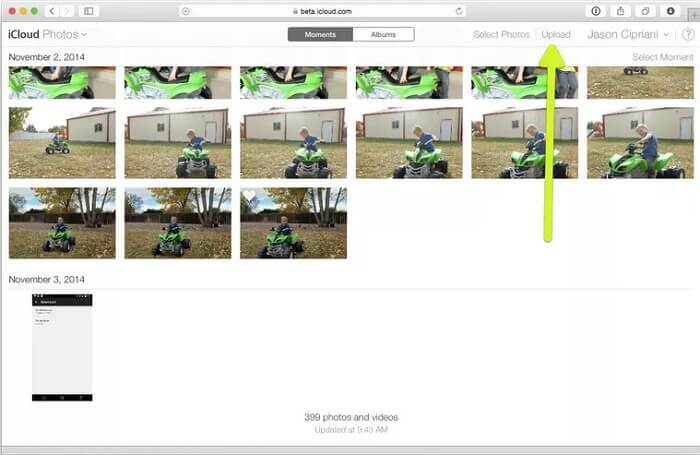 You can get your old photos from the iCloud website on any browser and any device including your computer. Here’s how to do it. Step 1: Go to iCloud on any browser. Step 2: Enter your Apple ID and password to gain access to your iCloud account. Step 3: If you have a 2-step authentication tap “Allow” on another device and then enter the 6-digit code to continue. Step 4: Once signed in, you should be able to access any data that you have stored or synced with iCloud. Only data files that you have synced or store in iCloud will be available. 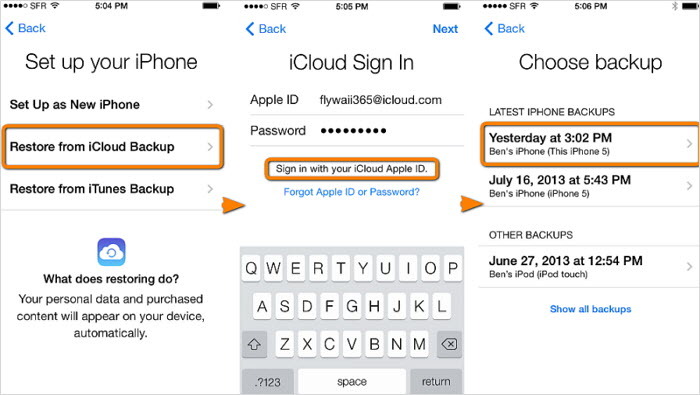 iCloud backups will not be accessible. Step 5: Click on “Photos” and you will be able to view, download or delete the photos on your account. Since we want to get them to your computer or device, click on “Albums” and then “All Photos.” To download a photo, click on it and then click on the “download” button. Step 6: Choose a location on your computer or device to save the downloaded photos. Aside from getting the photos from the iCloud website, you can also get the photos by simply restoring an iCloud backup to your device. 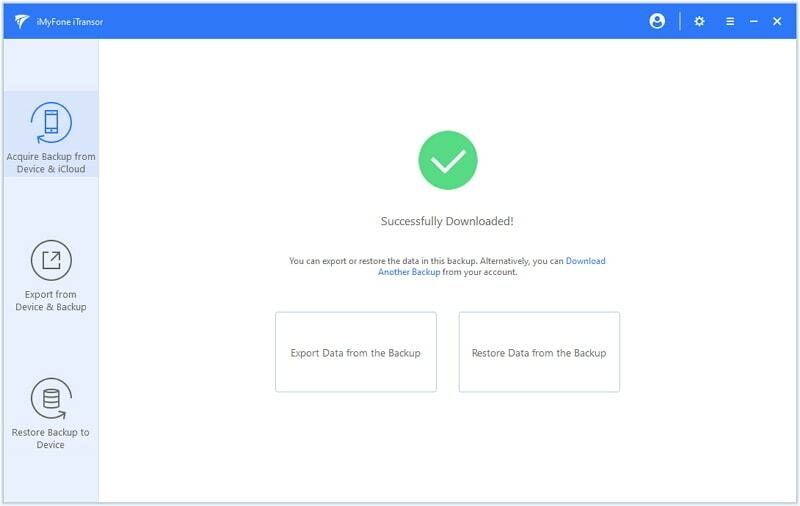 This is an effective method although it has one major disadvantage; you may have to erase the device of all its contents and settings before you can restore the backup. Step 1: Turn on the device. If the device is new, you should see the Hello Screen. If not, you may need to erase all contents and settings to get to the Hello Screen. To do this go to Settings > General > Reset > Erase Contents and Settings. 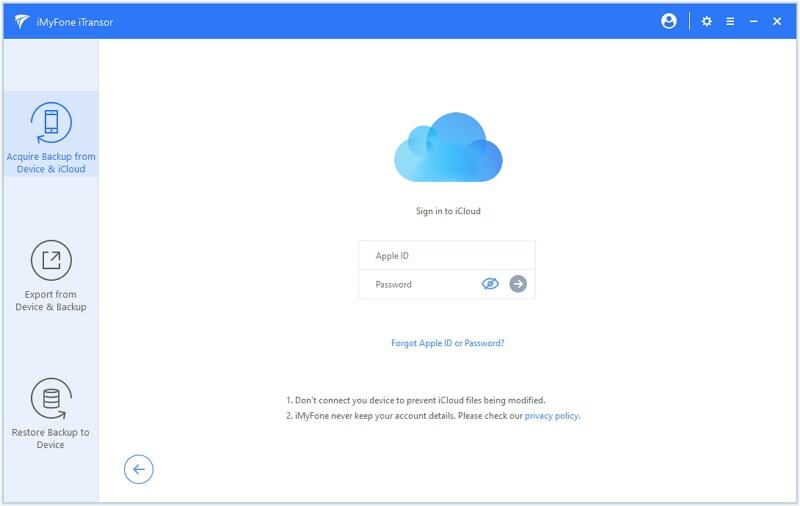 Step 3: Sign in to your iCloud account with your Apple ID. Step 4: Select the backup file the photos you need. If you see a message saying you need to update the device, follow the prompts to do so. Step 5: When asked, sign in with your Apple ID to restore your apps and purchases. Stay connected to a Wi-Fi network until the process is complete. The single biggest disadvantage of using the official method described above is that you don’t get to choose what type of data will be restored and all your current data on your device will be erased. 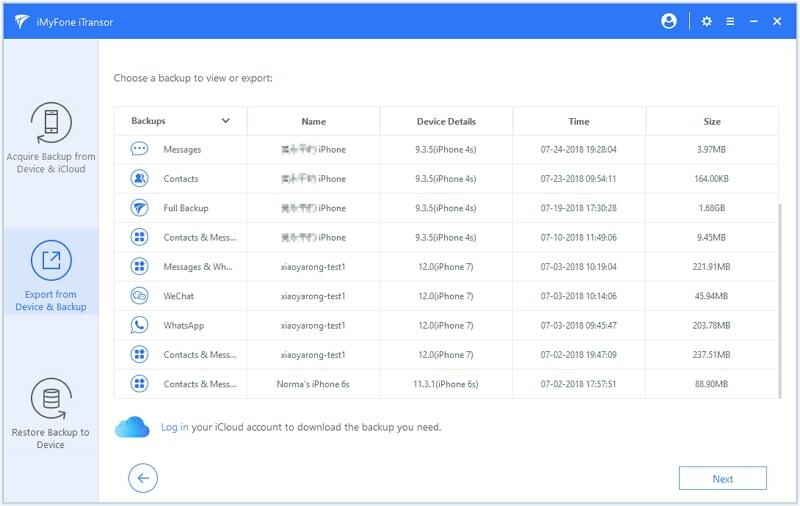 With iMyFone iTransor, you can not only extract the data directly from your iCloud backup to the computer but also restore WhatsApp, WeChat, contacts, messages from iCloud to device without erasing data on the device. The following are just some of the other features that make iMyFone iTransor the best choice. It allows users to export nearly 20 different types of data from an iTunes or iCloud backup to computer. 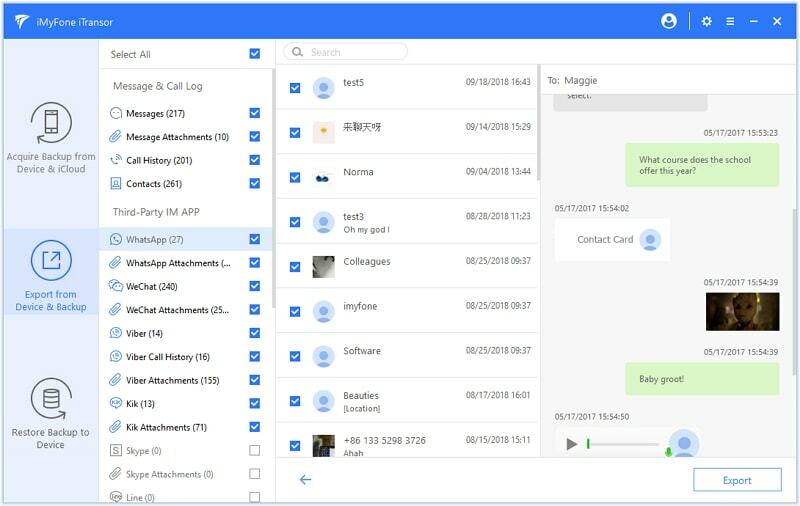 It allows you to restore only Contacts, Messages, WhatsApp or WeChat data as opposed to all the data without resetting the device. It suppports to restore backups made by iTunes, iCloud and iTransor partially. It is compatible with iPhone 8/8 Plus/X running iOS 9/10/11/12. Here’s how to use iMyFone iTransor to get old photos from your iCloud backup. Step 1: Download and install iTransor to your computer and then launch the program. 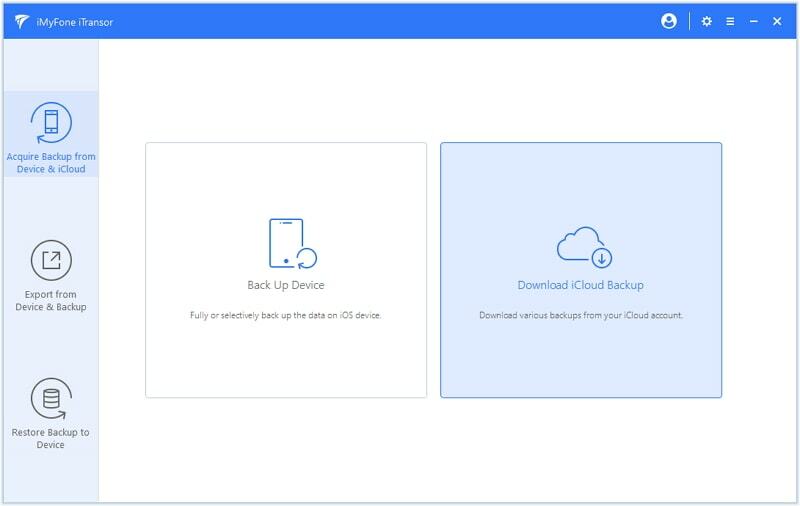 On the main window, select “Download iCloud Backup” from the “Acquire Backup from Device & iCloud” tab. Step 2: Log in to your iCloud account. Choose the iCloud backup file that contains the Photos you want to extract and then click “Next” to download the backup. Step 3: Wait for the download process. When it's finished, choose the "Export Data from the Backup" tab. Step 4: The program will begin scanning the backup for the selected photos. Once the scan is complete, select the photos you would like to export and click “Extract” to export the selected photos to your computer. Once the photos are on your computer, you can easily transfer them to your device if you need to. Try iTransor anytime you need to export any type of data from an iTunes or iCloud backup.